On Wednesday December 6th Thomas Grenon, Director of the LNE, handed over the LNE 2017 research award to Jocelyne GUÉNA, Daniele ROVERA and Michel ABGRALL, three LNE-SYRTE scientist at the Paris Observatory, for their outstanding work on the establishment of primary time and frequency standards within the framework of work on French metrology. 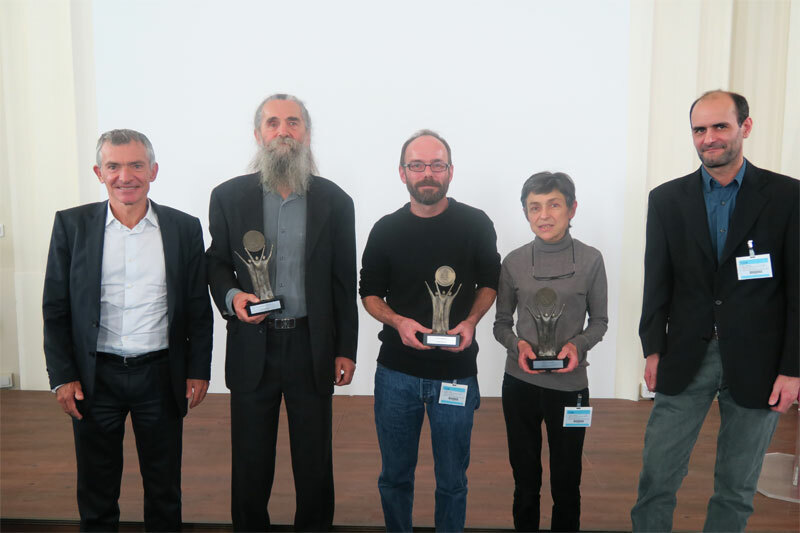 The LNE research prize is awarded to scientists who have contributed to the success and scientific reputation of the LNE as well as to that of the French national metrological network (Réseau national de la métrologie française - RNMF) which it directs. In order to create the international atomic time (temps atomique international - TAI) universal coordinated time (temps universel coordonné - UTC),which constitute the time scales on which our society is based, it is necessary to have extremely precise frequency standards. Jocelyne Guéna, Daniele Rovera and Michel Abgrall have worked for many years within the framework of the Paris Observatory on the creation and use of primary time and frequency standards. They have, in particular, realized a unique set of atomic fountains and developed methods and techniques which have led, for over 10 years, to the unequaled availability of optimally accurate time-frequency standards. They have also developed a new method of creating the UTC(OP), the physical realization of the Paris Observatory’s UTC and basis for French Civil Time, established using a hydrogen maser governed by one or more atomic fountains. This is one of the best in the world, and differs from UTC by only a few nanoseconds! Finally, Jocelyne GUÉNA, Daniele ROVERA and Michel ABGRALL have paid particular attention to the long life of the resources and means which they have developed and are always available to help in their use. Jocelyne GUÉNA a CNRS research director. An alumnus of the l’Ecole Normale Supérieure, she obtained her Ph.D. in 1985 at the Kastler Brossel laboratory, for the first observation of parity violation in caesium atoms. 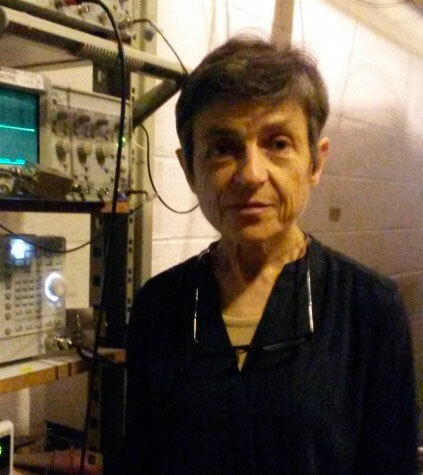 In 2005, Jocelyne Guéna moved to another subject, the metrology of frequency standards, and in 2007 integrated the LNE-SYRTE where she is working on the development of cold caesium and rubidium atomic fountains. Daniele ROVERA an LNE research engineer. In 1981 he was awarded the «Laurea di dottore in ingeneria elettronica (doctorate in electronic engineering)» at the Turin Polytechnic Institute. 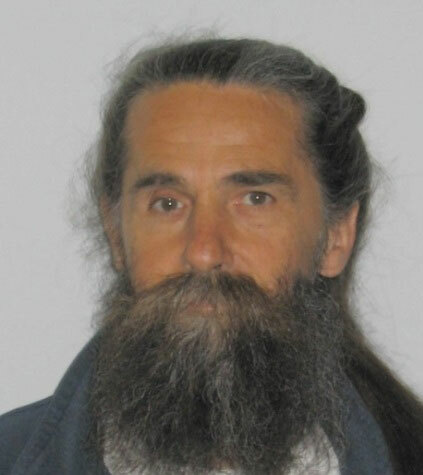 In 1989, he joined the LPTF (currently the LNE-SYRTE) at the Paris Observatory to work on the thermal jet JPO and on the optical frequency systems. Since 2006 he is involved in the Time section and in the portable atomic fountain FOM as means to improve time scales and their comparison from a distance. 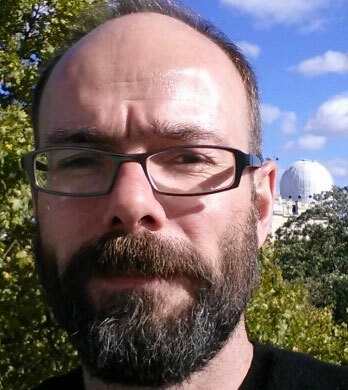 Michel ABGRALL is a CNRS research engineer. He obtained his Ph.D. in 2003 on the characterization and use of the portable atomic fountain FOM, at the LNE-SYRTE. He is working in particular on the creation and the dissemination of an ultra-stable reference, and on the improvement of the time scale UTC(OP), as well as on the use of laboratory atomic fountains. Since 2011 he has directed the operational service of the National Time Reference Unit. Created in 2009, the LNE Research Prize is intended to reward scientists who have contributed to the success and scientific reputation of the French Metrological Network which he directs, and also rewards his own research activities.